Suitable for use with Brompton Bikes. Fits the Brompton Chain Tensioner Assembly (Brompton Part # 9023004 / QCTA). Make your Brompton lighter with Ti Parts Workshop titanium components. This Chain Tensioner Titanium Nut saves approximately 8.5g over the original Brompton component. Includes washer. Both of them will work. The new one is the gold one. 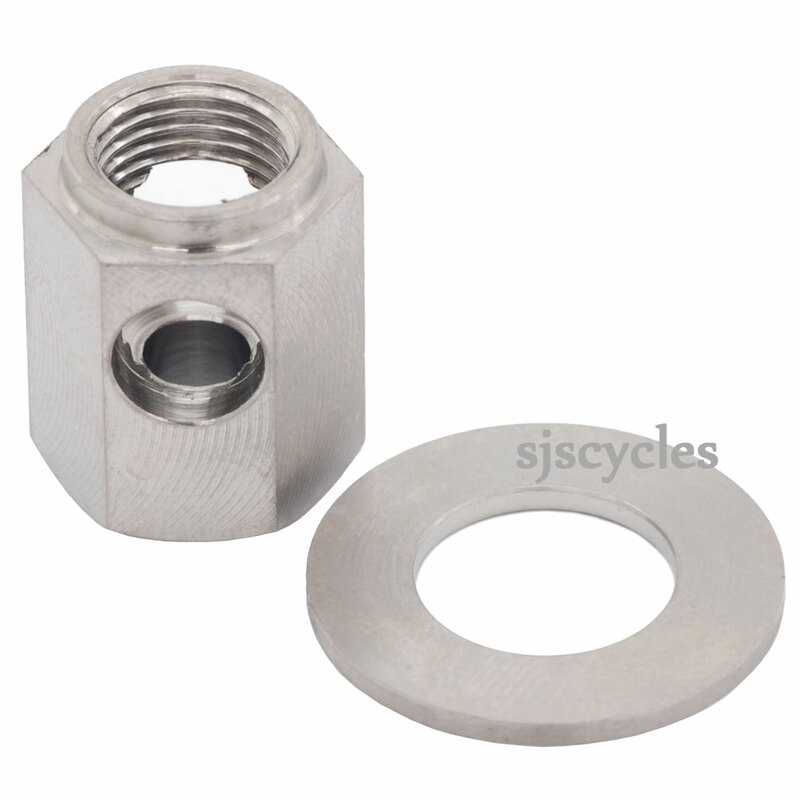 As long as your bike still uses one of the Sturmey Archer 3spd hubs then this will fit your bike fine. This chain tensioner titanium nut can be used on a 6 speed bike with the BWR hub without any issues.